With Hurricane Irene on its way, we thought it would be a good time to discuss what wedding insurance is, and how it can help. Though you might not want to think about it, disasters can strike your wedding day. From a sudden cancellation to stolen gifts to a damaged gown, wedding insurance can help protect you against the unforseen, and can also afford you great peace of mind. But what exactly is wedding insurance - and how does it work? Here's the inside scoop. Basically, wedding insurance protects a couple's investment from circumstances beyond their control, and reimburses expenses incurred. For example, what if your limo driver doesn't show up and you have to book another one the morning of the wedding - for three times the price? Or what if the groom's custom-made tuxedo is lost in airport baggage, and he has to buy a new one the day before the wedding? What if your reception space goes out of business a month before the wedding, and you lose your deposit and have to book another space? These are the types of big-day financial losses that wedding insurance can help to protect. A basic insurance policy that covers loss of photos, videos, attire, presents, rings and deposits usually costs anywhere between $155 and $550, depending on the amount of coverage you want. General liability insurance, which covers up to $1,000,000 for accidents, costs around $185. Before you buy wedding insurance, check with each of your vendors to see how well they're covered - your reception site or your caterer may already have their own insurance, so you wouldn't want to pay for overlapping coverage out of your own pocket. Ask your vendors for a copy of their policy, and then figure out where you aren't fully covered. The sooner the better. Let's say you put a deposit on your wedding reception hall 12 months prior to your wedding date and then it burns to the ground a few weeks before the big day. With your wedding insurance, you'll be sure to get your deposit back. But note: most insurance companies have limitations on how far in advance you can purchase insurance. 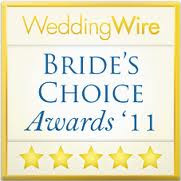 Problems with the site, weather, vendors, key people, sickness, or injury are the top concerns come wedding day. There is usually a specified maximum amount, which can be claimed under each section, and a deductible also applies. Be sure to find out the details of your insurance plan. -Site: Check to see if your ceremony and reception site is already insured. If it's not, wedding insurance can cover the cost arising out of unavoidable cancellation (such as damage or inaccessibility to the ceremony site), if your reception hall is unable to honor your reservation because it has burned in a fire, experienced an electrical outage, or just plain closed down. Sometimes this policy covers the rehearsal dinner site, too. -Weather: Any weather conditions which prevent the bride, groom, any relative whose presence at the wedding is essential, or the majority of the guests from reaching the premises where the wedding is to take place. Insurance covers rescheduling the wedding and all the details involved - such as ceremony flowers, tent rental, and reception food. -Vendor No-Show: What if essential wedding people - the caterer or the officiant, for example - fail to show up? A wedding insurance policy usually covers cancellation or postponement of the wedding for these reasons. -Sickness or injury: Wedding insurance may also include sickness or injury to the bride, groom, or anyone essential to the wedding. -Military or Job: It's true, military personnel may be shipped out at a moment's notice. Wedding insurance can cover postponement of the wedding due to the bride or groom suddenly getting called to military duty. This can also apply to a last-minute corporate move - i.e. the bride's company suddenly relocates her to another city. -A change of heart, in other words, cold feet don't count. -Watches, jewelry, or semi-precious gemstones or pearls (even if they are attached to clothing) may not be covered. -While your wedding rings may be covered by the policy, your engagement ring probably will not. Couples can take out supplemental policies to defend against damages incurred by other wedding-related items such as photography, videography, and gifts. -Photography: Some policies pay to retake photographs after the fact if the photographer fails to appear or the original negatives are lost, damaged, stolen, or not properly developed. Some policies will pay to re-stage the event - with the principal participants so that pictures can be retaken. A policy may also pay costs for rehiring a photographer, buying a new wedding cake, and new flowers. -Videographer: When a videotape produced by a professional videographer is damaged (he or she used faulty materials for example), a policy usually pays a certain amount to have either a video montage created, a video compilation made of the photographs and other wedding memorabilia, or, if possible, a retaking of the official video at a re-staging. -Gifts: Whether they're mailed to your home or handed to you on your wedding day, valuable items like gifts are something else you might want to consider insuring. Think about a party crasher lifting unattended presents from your reception. Gift coverage pays to repair or replace non-monetary gifts that are lost, stolen, or damaged. 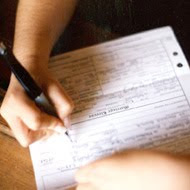 A police report is usually required for stolen gifts. The damage or theft generally has to take place within a limited time period (ranging from 24 hours to seven days depending on the specific policy) before or after the wedding, in order to be covered. -Attire: This coverage pays to repair or replace the bridal gown or other special attire when it is in your possession and is lost, stolen, or damaged (including financial failure of the bridal store). Special attire usually includes the clothing and accessories bought or rented that are to be worn by the bride, the groom and attendants at the ceremony. -Personal liability: Personal liability covers bodily injury or property damage caused by an accident that occurs during the course of the wedding. -Medical Coverage: This covers reasonable medical expenses (up to the policy's limits) for each person who is injured during the covered events from a cause of loss, which would be covered by your personal liability. -Honeymoon: Your honeymoon can cost as much as a new car. But before buying travel insurance to protect your investment, see if your credit card and/or homeowner's policy covers you if your luggage gets lost, your trip is delayed, or you have to cancel. If not, you can buy a separate, trip-only policy. Call your insurer, or ask your travel agent for details. Also, certain wedding insurance packages include optional travel insurance for your honeymoon. Every insurance policy and every wedding scenario is different. Be sure to talk to your insurance agent - and have him or her explain the nuts and bolts to you. You want to make sure you and your sweetie understand every detail of your policy.